Mission: To monitor global atmospheric gases and long-transported contaminants at a location in an untouched Arctic environment, far away from substantial contamination and local sources. The main focus areas at the observatory are: i) Research on long-transported atmospheric contaminants. This includes (among others) greenhouse gases, ozone, persistent organic pollutants (POPs), aerosols, environmental toxins, ii) Characteristics of the Arctic atmosphere and studies of atmospheric processes and changes, and iii) Measurements aimed at increasing the understanding of feedbacks between aerosols, clouds, and radiation, and how these affect the Arctic climate. Facility and Environs: The observatory is located on the Zeppelin Mountain, close to Ny-Ålesund Research Station, Svalbard. At 79° N, the station is located in an undisturbed arctic environment, away from major pollution sources. 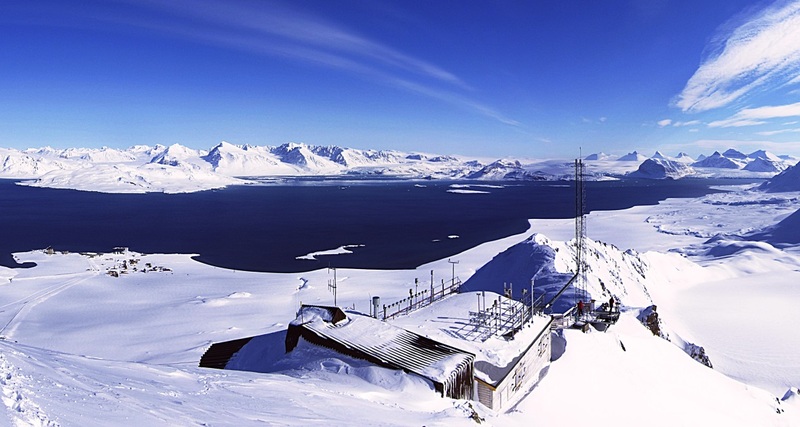 Influence from local pollution sources, such as from the nearby community of Ny-Ålesund, is limited by the observatory’s location at 475 metres a.s.l, which means that most of the time it is above the local inversion layer.